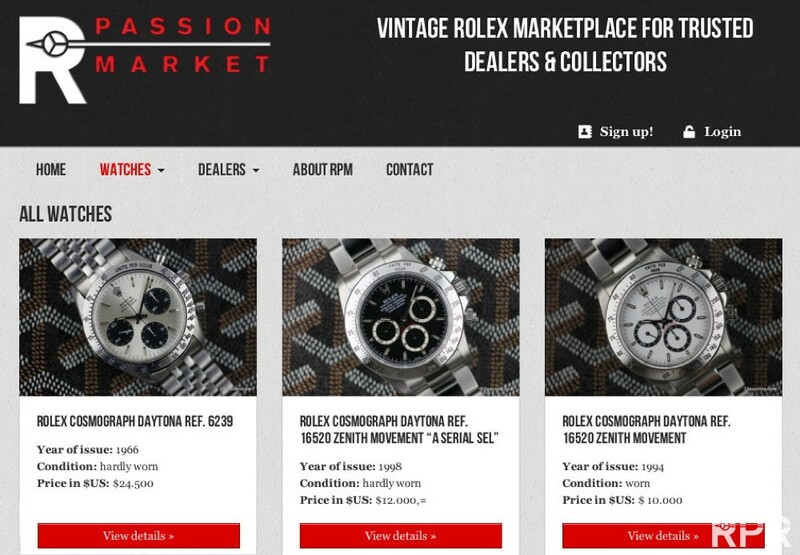 The Rolex Passion Market Update: First sketches I like to share with you of the new RPM website. Soon I’ll show more, so stay tuned! 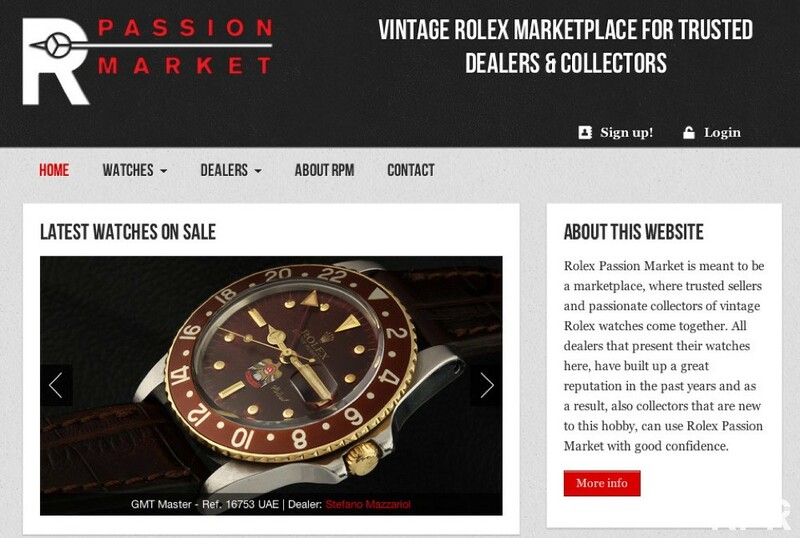 I’m since since a longer time playing with the idea of adding a Marketplace to my Rolex Passion Report website. I believe that my vintage Rolex friends around the world have done some amazing work, each by their own, to promote our beloved hobby. Those guys I call my close friends are sometimes dealers I admire by all the studies they’ve done and share in our community. The endless talks they all have had with their customers convincing the beauty of collecting, have made our market stronger and deeper passionated due to these ‘trusted dealer and collector friends’, to come to the point where we’re now. My intentions have always been pure, never tired of willing to explain the secrets and passion we deal with every day. Yes I have been doing a jewellers shop in Maastricht, The Netherlands selling vintage watches for some 20 years but that I stopped some years ago so I could focus on my passion and my travels advising great collectors worldwide. Since RPR ( www.RolexPassionReport.com ) is online, I get many questions of novice and professional collectors where they can buy honest vintage Rolex. 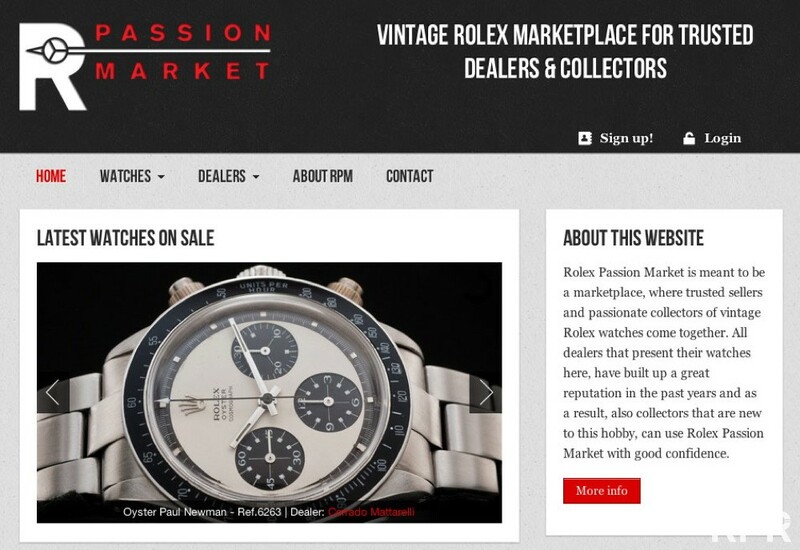 As I believe in a open and fair market, I decided to start a trusted market place named with dealer friends called RPM ( www.RolexPassionMarket.com) Keeping up their reputation and offering you only the best possible classic Rolex the RPM dealers will help you buy vintage Rolex watches in confidence! My idea of building up a network that covers the world of vintage Rolex friends offering honest vintage Rolex, many already responded enthusiastic! 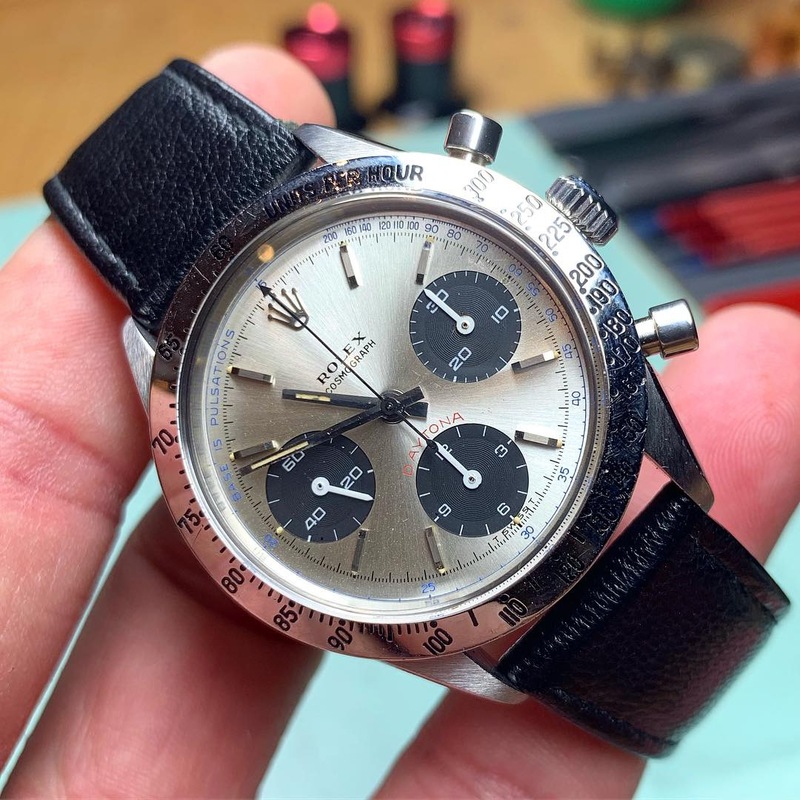 Watches that are not restored or enhanced by look but are still original in the condition as how they’ve been delivered in the past are the criteria to get listed. The preservation we all aim at to have in our collection as quality, originality and provenance have become the keywords in our hobby. Only these ‘honest’ vintage Rolex that will be offered on RPM, will eventually gain popularity in the future. Not only collection & passion wise but in the long run, money and investment wise. As many new vintage Rolex lovers, becoming collectors mostly missing the necessary information to decide between the offers and still have problems buying from private persons or dealers they yet haven’t dealt with, it’s become to big of a risk for these starters to trust their money to somebody’s blue eyes and wait for the parcel to arrive. Therefor we list the best trustable Rolex dealers from around the world. This post was written by Philipp on August 24, 2012.